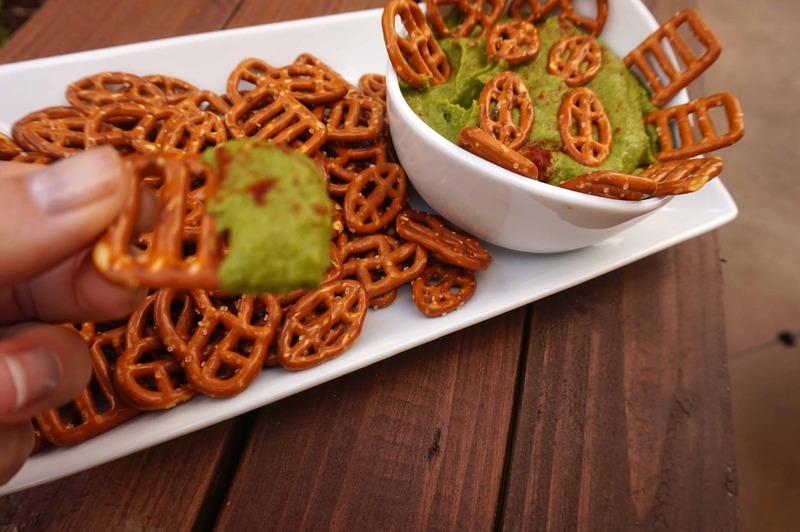 Are you ready to bring a little of the #greenmachine madness to your football foods? Full disclosure ladies & gentlemen, before I get any further I must tell you by posting this recipe I am entering into a recipe contest sponsored by Sabra Dipping Co. LLC. I am eligible to receive prizes associated with this contest but I was not compensated for my time. I did however fully enjoy this new #simpleswap creation, and here’s why! Did you know that Sabra is the Official Dips Sponsor of the NFL? Yep, it sure it. I love knowing that such a natural brand is showing football fanatics just how tasty healthy eating can be. Plus, having just #twospoons of Sabra hummus daily fulfills your bean recommendation for the entire week. Now, that’s a heart healthy, fiber filled dip! Sabra has a variety of hummus flavors to choose from that you can serve up to your guests, like Chipotle, Roasted Pine Nut, Sun Dried Tomato as well as a few more. But, if you’d like to take your tailgating party into the #redzone, I highly suggest you try this new Simple Swap recipe creation. Sabra’s Spinach and Artichoke Hummus is the perfect base for a healthy twist on that classic dip. 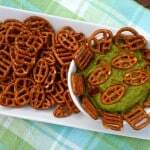 You can definitely make this a little more creamy and decadent like a traditional Spinach and Artichoke Dip by adding an 8 oz container of light cream cheese, however that would cancel out the vegan and allergen free-ness of this dip! Thus, here’s what I did to #simpleswap this bad boy… aka the new face of Green Machine Hummus! Take that Sabra Spinach and Artichoke Hummus and pulse it with water chestnuts, spinach and whole garlic cloves in your blender cup. The spice and texture added by the water chestnut combination really packs a bold flavor to this dip. If you like to live on the edge, add a shake or two of cayenne pepper into the mix…#ohyeahbaby! 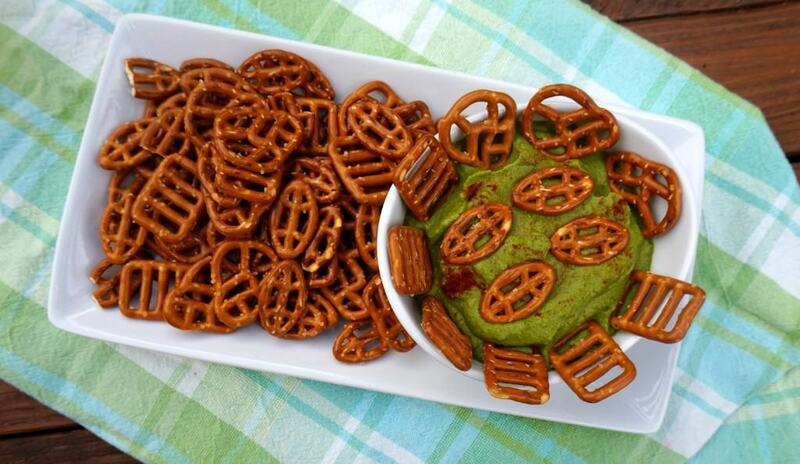 This Green Machine Hummus is a total win-win too because it’s practically a no mess clean up. Men and women alike will dig this, I swear. Tell the kiddos it’s green slime (hey- it fits with the season) and little will everyone know they’re getting a hearty dose of vitamin K, vitamin A, folate, magnesium as well as many other nutrients! 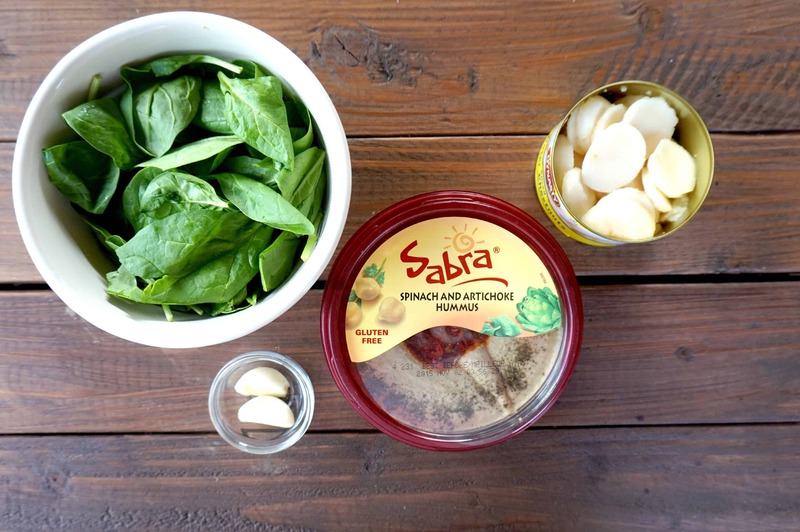 Have you tried Sabra lately? What’s your favorite flavor of their dips? What do you serve it with?! On a cutting board, finely dice the remaining sliced water chestnuts into small pieces. In a small serving bowl, mix hummus puree with the remaining diced water chestnuts. Serve with your favorite veggies, pretzels or use as a dipping sauce... the possibilities are endless. Such a wonderful, bright color. Would also be good for St Pat’s Day in March. So true Barb! Or even with small red cherry tomatoes as a Christmas tree for holiday parties! LOL- you’ve got me thinking now! Isn’t it cool that a healthy food is an NFL sponsor! This looks so yummy…my kids would love it’s called green machine! I know! When the email was sent out for the contest I was like #HECKYES! I’m hoping that green machine appeals to both the kiddos and health nuts alike lol! HA, you and me both! I fear though my challenge is mindless eating and blog reading :). Thank goodness I made a rule no food in the office or living room anymore. Too bad I keep bringing my laptop to the kitchen table hah! Brilliant my friend! I absolutely LOVE the addition of water chestnuts (obsessed with them). And extra greens never hurt ;). LOL, thanks Min! I too love water chestnuts- I can eat a whole container like it ain’t no thang 🙂 lol! I love how you kicked up this hummus, delicious!! Sabra is my favorite. I recently tried their salsas and was so impressed. Thanks Aggie! Yum- I love Salsa! I haven’t found it in my stores yet but I am on the lookout! Love how easy this is! I snack on water chestnuts whenever I open a can of them- they are so addicting! This looks great.